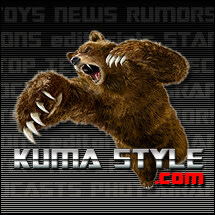 Toy Nippon: BBTS News: Mario, Transformers, TMNT, Gremlins, Star Wars, Tokkyuger, Killzone, Game of Thrones & More! BBTS News: Mario, Transformers, TMNT, Gremlins, Star Wars, Tokkyuger, Killzone, Game of Thrones & More! The S.H. Figuarts line is soon expanding with the release of Super Mario and accessory packs. Mario comes with a mushroom, a mystery box and more and is listed at $24.99, while Play Set A and Play Set B each contain a variety of accessories like Goombas, blocks, coins, green pipes and more (check the listings for exact contents) and are each listed at $19.99. Playmates has announced their first offerings in the new line from the upcoming Michael Bay "Teenage Mutant Ninja Turtles" movie. No specifics have been announced, but the waves include a Basic Figure Series 01 Case of 16 at $174.99, a Deluxe Figure Series 01 Case of 6 at $99.99, an 11" Figure Series 01 Case of 4 at $99.99 and a Turtle Van at $39.99. The third stunt puppet in the Gremlins line is limited to 1000 pieces and comes with a metal display stand as well as his sport jacket, shirt and removable eyeglasses. Let this creepy guy bring his version of erudition to your collection for the price of $239.99. Kids Logic's newest Egg Attack Super Deformed figure is a black and gold redeco of the Mark XLII figure recently released. This figure includes LED lighting in the eyes, hands and more, and is listed at $109.99. A variety of new train add-ons have been announced for the current Power Ranger series, Ressha Sentai Tokkyuger. They include a new zord named Diesel Ressha (available in regular and DX sets), as well as Police Ranger, Fire Ranger and other add-on trains. These new pieces are listed from $18.99 - $89.99. This new version of Getter 01 can transform from robot to a pteranodon-like flying creature. It includes die-cast content, comes with what appears to be one (or more) scythe(s) and other weapons, and is listed at $199.99. This celebratory version of the Fox Sports Robot is done in silver with the Super Bowl Champions Seattle Seahawks symbol and notation on the chest. It is listed at $34.99 and is set to release in March. ThreeA is producing a 1/6 scale Hazmat Trooper from Killzone. It comes with a fabric/PVC/plastic costume, light-up eyes, alternate hands, an Arc Cannon with moving pistons and more, and is priced at $149.99, $10 off the MSRP. This new line brings stylized 3.25" versions of famous movie characters home in a new way. Series 01 includes Robocop, the Phantom and Ash from the Army of Darkness movies, and we have them listed as a set for $44.99, and singly at $19.99 each for Ahs and Robocop and $9.99 for the Phantom. The second wave of these bobble heads has been announced. It includes Doctor Crusher, Captain Picard, Troi and Data, and each is listed at $22.99. Now you can complete the bridge for your collection. Now the whole cast of the Big Bang Theory can join your collection in the form of these new 8" figures. Leonard, Sheldon (with Green Lantern and Flash shirts), Penny, Bernadette, Howard, Raj and Amy Farrah Fowler are set to be released this summer, and are priced at $24.99 each. These capsule toys of the Joker come in five versions - holding a gun, holding cards with coat open, doing a cartwheel, lifting a mask and riding in a police car. They will be sold in bags of 5 random figures due to the blind packaging, although if possible depending on the packaging we will try to maximize the mix per random bag. Each bag of 5 is listed at $23.99. Museum Replicas has announced four new releases from the Game of Thrones line. We have the Ice Latex Sword Replica and Longclaw Latex Sword Replica at $89.99 each (each $5 off the MSRP), Robb Stark's Latex Sword Replica at $84.99 ($5 off the MSRP) and the Nights Watch Belt Replica at $54.99 (also $5 off the MSRP). These figures from the popular Japanese series hang on the edge of your glass and make drinking fun. They come in five styles (Eren, Levi, Mikasa, Colossal Titan, Female Titan), each in regular and sepia tone versions. Each Box of 10 will contain one of each or come with random figures and may not include all 10 different figures; the Box of 10 is listed at $54.99. Crowded Coop has announced a new line of accessories from the Halo franchise. They include messenger bags, officer bags, lunchboxes and keychains, and are listed at $12.99 - $79.99 each. These two new shared exclusives are in stock now and ready to become part of your collection. Optimus Prime is a redeco of the new MP-10, complete with gold details and a clear trailer; Starscream is a G1 deco version of the Supreme Starscream from Armada. Optimus Prime is listed at $119.99, and Starscream is listed at $99.99. We have received another shipment of this popular wave, and currently have stock of the Set of Scoop, Starscream, Skywarp and the Minicon Trio at $53.99, with singles of Starscream at $15.99, Skywarp at $13.99 and the Minicon Trio at $12.99. This trio from Impossible toys consists of three different mini cars that transform into robots. NightBee, Nightjumper and Nightbump are each done in black with red windows, and this set (which is limited to just 100 pieces) is listed at $119.99. These add-ons for your red & blue and blue & white transforming robots will increase their size and firepower. We have the set of 2 listed at $169.99, with the upgrade for the blue & white robot at $89.99 singly. EFX' latest replica is Wedge's helmet from ESB. It is created from a digital scan of an original helmet and is done with green detailing, a fully padded interior and display base. The helmet is limited to 750 pieces worldwide, is numbered with a Certificate of Authenticity and is listed at $599.99. Bolster the ranks of your Imperial armies with these Sandtrooper releases. The Squad Leader Two-Pack includes equipment and weaponry as well as alternate parts to display them looking through macrobinoculars, pointing or wielding either weapon. The Sergeant holds an RT-97C heavy blaster rifle, and all these figures stand about 7" tall. The Sergeant is listed at $49.99 ($5 off the MSRP), while the Squad Leader Two-Pack is priced at $72.99 ($12 off the MSRP). This figure brings out the anger in Black Adam. His costume looks like a mix of superhero and vampire, as are the eyebrows and widow's peak. He is listed at $44.99, $5 off the MSRP. Our latest Gentle Giant shipment included 12' Jumbo Star Wars IG-88 and Hoth Han Solo, as well as Mini Busts of Grand Admiral Thrawn, Pilot Luke Skywalker, the Well Walker from The Walking Dead and Azog from the Hobbit movies. You can see pricing and more for these items at the link. This pink pony measures about 8" tall and wears in a red Chinese dress. She comes with a green brush, and is listed at $39.99. Captain Harlock and crewmate Kei Yuki have arrived at our warehouse. These new Play Arts Kai figures are based on the upcoming CGI movie "Space Pirate Captain Harlock" and come with alternate hands, a display stand and weapons. Each figure is listed at $79.99.